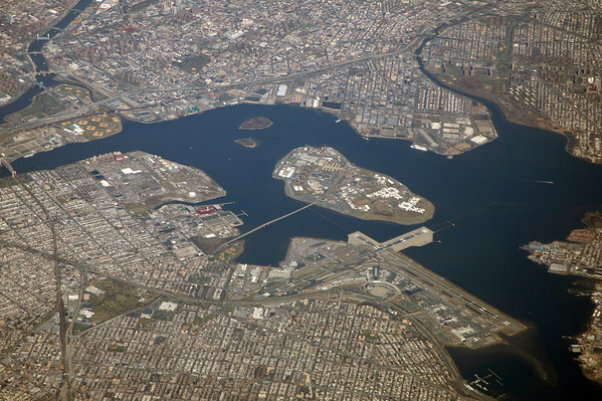 The summer of 2014 is quickly shaping up to be full of new and modified service for the three major NYC-area airports. Several new carriers are coming to town, adding more cities around the globe with nonstop service to the Big Apple. Others which already serve the area are planning to beef up their existing services with a mix of new cities and new frequencies. Another carrier from our neighbor to the north is moving their service across the Hudson. Meanwhile, a couple of the local stalwarts are making some fairly significant changes. In all, these changes should prove to be very significant both for travelers and enthusiasts. 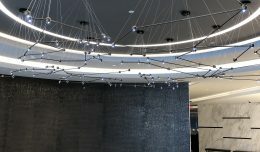 American Airlines’ new LGA routes. Two carriers with a big NYC presence have announced some significant changes. Leading the pack is the newly merged American Airlines and US Airways. On the heels of an antitrust settlement-mandated sale of a portion of its slots at LaGuardia, the airline is completely re-balancing its operations at the airport. Gone is service to its competitors hubs including such airports as Atlanta, Minneapolis and Cleveland. Also seeing a significant cut is US Airways hub in Charlotte. The only airport served by both merger partners, it is seeing the loss of all American-branded service and then some. In place of these flights is new service on ten new routes, mostly in markets with lots of business travel into New York City. Dayton, OH, Greensboro, NC, Louisville, KY, and Norfolk, VA will all see up to three flights per day, while Richmond, VA will see up to four. One or two flights per day will serve both Charlottesville, VA and Little Rock, AR. Meanwhile, Roanoke, VA, Knoxville, TN, and Wilmington, NC will see one flight a day every day except for Saturday. Of course it is worth mentioning that even with these changes, American will still need to axe some flights as the slots they are required to give up are transferred to other carriers. Expect to see more changes later this year. 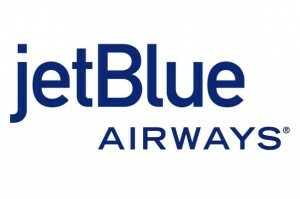 Also joining in the fun is JFK-based JetBlue Airways. 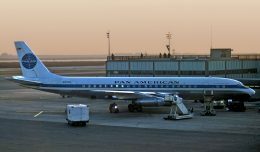 The airline has had flights from JFK to several international destinations for many years while keeping its relatively small operation at Newark solely domestic. That all changes on May first when service between Newark and Santiago in the Dominican Republic begins. Santiago was also one of the first international destinations from JFK for the airline. Another major change coming this summer sees the historically single-class carrier gradually add a premium cabin on a key route. JetBlue’s Mint product will be rolled out on the JFK-LAX route on June 15th, beginning with one flight per day. The airline will gradually expand the offering, so that by August 3rd each of the five daily flights currently operating between New York and Los Angeles will have the Mint product onboard. A sixth flight each day will be added on September 23rd. Each Mint-equipped Airbus A321 will have 16 fully lie-flat seats in addition to 143 of JetBlue’s current Core Experience seats. Mint service between New York and San Francisco is expected to be launched by the end of the year though dates have not yet been announced. New York City may not be the biggest dot on Southwest Airlines’ map, but that isn’t stopping the airline from trying to grow at LaGuardia. The Dallas-based carrier was the big winner in the auction for takeoff and landing slots that American Airlines and US Airways were forced to give up back in early December. The airline is planning to deploy those not for new service, but instead to beef up existing routes. Akron-Canton Airport (CAK) and Nashville International Airport (BNA) will each see one additional flight each day. Houston Hobby Airport (HOU) and Chicago – Midway Airport (MDW), both large focus cities for Southwest, will each see 2 additional daily flights. There is, however, one new destination that Southwest has planned. Beginning November 1st, the airline will fly between Laguardia and Dallas – Love Field (DAL). That new service follows the removal of the Wright Amendment restrictions that have shcakled Southwest’s operation in its home city for years. Canadian low cost carrier Westjet has had a presence in the NYC area since 2008 with a single daily flight between Calgary (YYC) and Newark during the summer months. In 2012, the airline added year-round service to LaGuardia (LGA). Today, they fly their their Boeing 737s between Toronto and LGA eight times a day each way. Of course, given LGA’s strict 1500 perimeter rule that is in effect every day except Saturday, flights between LGA and YYC are forbidden, so that flight has to operate to another area airport. For the summer of 2014, that flight to and from Calgary is moving over to JFK from EWR. Though the airline has not stated any reason for the change, it is possibly due to the increased access to codeshare partners that Westjet will have at JFK In comparison to Newark. Another airline making a move, albeit of a different type, is Royal Jordanian. Beginning on October 2nd, the carrier will transition to the 787-8 for its flights to JFK. Currently the flights, which originate in Amman, Jordan, operate using a mix of A330-200 and A340-200 aircraft. Also making an aircraft type change is Irish carrier Aer Lingus. Specifically, the airline is changing the aircraft on its route between Shannon (SNN) and JFK from the Airbus A330 to the Boeing 757. With this change in aircraft type, the carrier is also doubling the number of flights, from 3 to 5 per week. The aircraft were previously operated by Finnair until that airline retired the type last year. Another change being made is that the flights will now operate year round. In previous years, the flights originating in Shannon only operated in the warmer months of the year. All of this modified service will begin on March 30. Routes seeing additional frequencies and new destinations by foreign carriers. 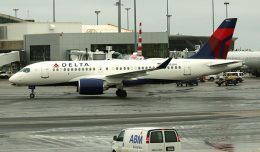 Several airlines around the world which already have service to the New York area are adding more this year. Etihad Airways, headquartered in Abu Dhabi, is adding a second daily flight to JFK. The new flight will be a morning arrival at JFK with departure back to Abu Dhabi scheduled for just after 12:30 PM. This new flight complements Etihad’s current flight that arrives in the early evening and departs a little before 11:00 PM. Both flights will be operated aboard the 777-300ER. Etihad plans to operate the new flight using an aircraft owned by Indian carrier Jet Airways. However the FAA recently downgraded India’s aviation safety rating to category II. Among other effects, that downgrade prohibits Indian airlines from starting new routes to the United States. It is currently unknown exactly what effect this downgrade will have on Etihad’s plans for the second flight, as well as who will ultimately operate it. Etihad is a partial owner of Jet Airways. Japan Airlines (JAL) is also adding a second flight to JFK from Tokyo’s Narita International Airport each day. This second flight is actually a resumption of service which was cut back in 2010 when the carrier was going through financial restructuring. The new service will operate onboard the carrier’s Boeing 787-8 aircraft. The new flights are scheduled to land at JFK at around 8:00 PM each night, with the aircraft departing shortly after 9:30 the next morning. The current flight arrives late in the morning and departs in the early afternoon, utilizing a 777-300. Norwegian Air Shuttle is undertaking a relatively massive build up in the United States. One key airport for them is JFK, where the carrier launched flights to Northern Europe last summer. While several new routes are being added (we’ll get to those), one existing route is seeing an additional flight each week. Stockholm (ARN) will now see four flights per week. When service was initially launched last summer, Oslo saw flights from JFK four days a week while Stockholm saw three days of service. New international routes being flown from JFK. As one of the more prestigious cities in the world, there are few airlines that don’t aspire to serve the Big Apple. For many reasons, airlines just have to have NYC as a dot on their route maps. One of those airlines is Kiev-based Ukraine International Airlines. 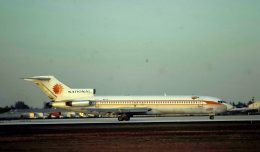 The airline has flown to various destinations in Europe, Northern Africa, the Middle East, and Western Asia since its founding in the early 1990s. With the collapse of Aerosvit in January of 2013, several aircraft were transferred to Ukraine International along with permission to operate several routes. One of those routes was Kiev to JFK, which Aerosvit had operated until the winter of 2013. Of course transferring a route between carriers can be a complicated process. Ukraine International required various approvals from the United Stated Department of Transportation in order to commence service. With those approvals now in hand, the airline plans to begin service on April 25th aboard a 767-300ER. Initially there will be three flights per week, with an additional weekly flight added in mid-May. June will see the flights ramp up to six per week in the middle of the month, before moving to daily service on the 23rd of the month for the peak summer season. Flights will arrive at JFK in the mid-afternoon and depart back to Kiev just after midnight. Another airline seeking to begin service to New York is China Southern Airlines. It will launch service on August 6 between Guangzhou, China and JFK. The nonstop flights will operate four times each week. The airline will use its brand new fleet of 777-300ER aircraft to arrive at JFK at approximately 5:45 in the morning. Departure back to China is scheduled to take place later the same morning at 11:15. Meanwhile at Newark, Cathay Pacific is adding a daily flight to Hong Kong. This new flight will operate on board the airline’s three class 777-300ERs. Those aircraft have Business, Premium Economy, and Economy classes, with no First class cabin. Scheduled to arrive in Newark at 9:00 PM each night, departure for the nearly 16 hour flight will be at just before 2:00 the next morning. The existing 3 nonstop flights to and from JFK will continue, as will the flight that makes a stop in Vancouver. Also at Newark, Austrian Airlines is adding flights to Vienna. Those flights will operate five times each week, onboard the airline’s 767-300ER aircraft. The airline has long served JFK. Those flights will continue with daily 777-200ER during the summer. These flights will arrive in Newark shortly after 1:30 in the afternoon and depart at just before 6:00 PM. 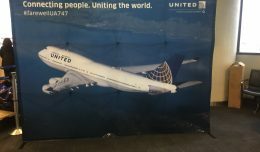 Service to Newark will allow for simple connections to Star Alliance partner United Airlines. Initially, the two airlines will codeshare on 10 routes, primarily in the eastern United States. And then there is Norwegian Air Shuttle. The airline is attempting to make low cost, long haul service work using a ‘spoke to hubs’ model. After launching flights to JFK from Oslo and Stockholm last summer, they are bulking up this summer with another three destinations. Starting things off on February 28th are flights to Copenhagen, Denmark (CPH). Those flights will start off flying twice a week before adding an additional two beginning April 28th. Following that comes weekly flights to Bergen-Flesland International Airport (BGO) in Bergen, Norway, beginning on May 2nd. Finally, the airline is adding three weekly flights between London’s Gatwick Airport (LGW) and JFK, beginning on July 3rd. All flights will arrive at around 8 in the evening, except two of the CPH flights. Bergen and Gatwick flights are scheduled to depart at around 9:30 at night. Copenhagen flights will depart at 10:00 or 10:30, depending on the day. All of Norwegian’s flights are scheduled to be flown aboard the airline’s fleet of Boeing 787s. If they can get them working consistently. Whether you’re looking to fly someplace new, try a different aircraft type, or even just spot a new airline flying to your home airport, 2014 will not leave you disappointed. Of course airline schedules are a very fluid thing. Some changes to what we have written about here are always possible. And of course another airline could decide to start or change their service at any time.